Sandra Darlene Sutton, daughter of Susie Thomas and Walter Henry Hargrove, was born October 25, 1959 in Franklin County, North Carolina. She was called from labor to rest on Wednesday, September 5, 2018. Sandra accepted Christ early in life and joined the Haywood Baptist Church. Sandra enjoyed attending worship services and reading the Bible. 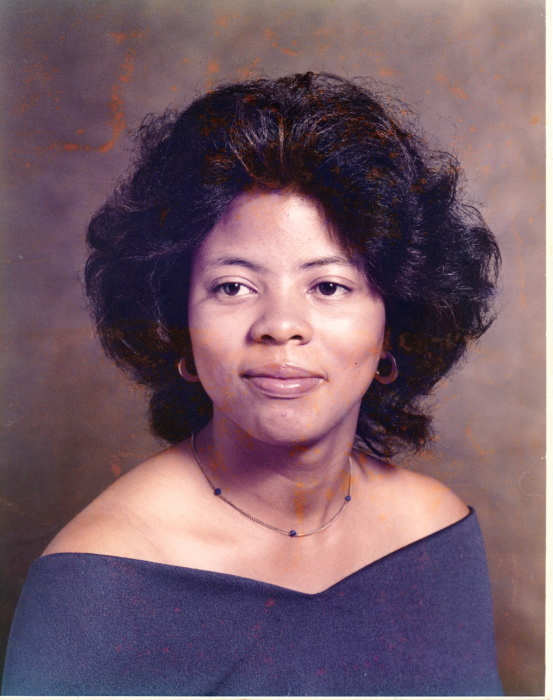 She served as a faithful member of the Haywood Young Adult (Gospel) Choir and the Usher Ministry until she became ill.
Sandra was educated in the Franklin County Public schools. She was the homecoming queen of Louisburg High School and a beautiful high school cheerleader. She was employed with Pizza Hut, Burger King and Burlington Industries as well as being employed at Purolator. She loved listening to gospel songs, R&B music and singing. “Oh boy she could hit those high soprano notes.” Sandra was a loving daughter, sister, mother, grandmother, niece, aunt, cousin and friend. You never knew what she was going to say or how she would say it, but if she thought it, she would say it. That was one of the things that made her so unique. She leaves to cherish her memory: two sons, Gary Lamar Sutton and Troy Akeem Sutton both of the home; seven grandchildren; her mother, Susie Thomas of Louisburg, North Carolina; her father, Walter H. Hargrove (Judy) of Louisburg, North Carolina; three sisters, Elizabeth Ann Turner of Henderson, North Carolina, Teresa Thomas of Woodbridge, Virginia and Tabitha Morgan (Lamont) of Butner, North Carolina; two brothers, Michael Crawley (Carla) of Queens, New York and Wayne Hargrove (Theresa) of Henderson, North Carolina; two step sisters, Brenda Williams of Louisburg, North Carolina and Erica Baker (Leslie) of Winston-Salem, North Carolina; a very special young lady who was like a daughter, Jakisha Massenburg of Louisburg, North Carolina; a host of aunts, uncles, nieces, nephews, cousins, other relatives and friends.